Microsoft will "draw a line in the sand" come April 2014 when Windows XP exits support, security researchers said today, even if millions of customers are still running the aged OS and a zero-day bug threatens the Windows ecosystem. Or maybe not. Other experts believe Microsoft will have no choice but to continue supporting XP. Windows XP, now in its twelfth year, is slated for retirement on April 8, 2014. After that date, the ancient OS will receive no further security updates or bug fixes, except to enterprises that pay for high-priced support contracts. PCs running XP will not suddenly stop working, of course, but they will be at risk to attacks exploiting vulnerabilities uncovered -- and patched for other editions of Windows -- from that point on. Michael Cherry, an analyst with Directions on Microsoft, a Kirkland, Wash. research firm that focuses solely on Microsoft, posed a scenario. "Suppose we get to a date post the end of Extended support, and a security problem with XP suddenly causes massive problems on the Internet, such as a massive [denial-of-service] problem?" asked Cherry. "It is not just harming Windows XP users, it is bringing the entire Internet to its knees. At this time there are still significant numbers of Windows XP in use, and the problem is definitely due to a problem in Windows XP. In this scenario, I believe Microsoft would have to do the right thing and issue a fix ... without regard to where it is in the support lifecycle." Microsoft has already extended XP's lifespan. In early 2007, Microsoft gave XP a reprieve, adding support time to Windows XP Home and XP Media Center to match the date already set for Windows XP Professional. By the time Microsoft pulls the XP plug, it will have maintained the OS for 12 years and 5 months, almost two-and-a-half years longer than its usual practice and a year longer than the previous record holder, Windows NT, which was supported for 11 years and 5 months. Cherry isn't the only one who figures Microsoft will again pardon XP. "I don't think they'll stand firm on this," said Jason Miller, manager of research and development at VMware. "What if XP turns out to be a huge virus hotbed after support ends? It would be a major blow to Microsoft's security image." In Miller's scenario, like Cherry's, the assumption is that vulnerabilities will continue to be uncovered -- either by legitimate researchers or cyber criminals -- that will affect not only XP, but other, still-supported editions. If hackers roll out successful exploits that hijack XP PCs because a patch was not forthcoming, those machines could, in turn, infect systems powered by newer versions of Windows. But would Microsoft actually do what Cherry and Miller expect? Not likely, said several other security experts today. "I think they have to draw a line in the sand," said John Pescatore of Gartner. "They've supported XP longer than anything else, so they'd be pretty clean from the moral end." Andrew Storms, director of security operations at nCircle Security, echoed Pescatore. "I don't see them changing their minds on this whatsoever," said Storms. "To do that, and alter their support lifecycle, would remove all credibility. Next, people still running Vista would say, 'They're not going to [end support].' And those people would hold onto Vista forever." At some point, Pescatore and Storms said, users simply have to upgrade the OS, probably by buying a new PC. XP has had its run, and it's over. And Microsoft won't back down. "I just don't think they will extend [XP] support again," said Wolfgang Kandek, CTO of Qualys. The case could be made, Kandek noted, that by continuing to supply patches to XP, Microsoft would be working "for the greater good." But he would be surprised if the Redmond, Wash. developer did so. In any case, it might not even make a difference. "Are the remaining XP machines actually updated? We don't know," said Kandek, referring to the common problem of unpatched PCs, no matter what operating systems they run. "Do they actually install them? Extending patches might not do anything." In at least one instance, Microsoft stuck to its guns, and refused to patch vulnerable operating systems that had fallen off the support list just weeks earlier. In August 2010, Microsoft issued an emergency patch -- often called an "out-of-band" update -- for a critical Windows shortcut bug that attackers had exploited with the infamous Stuxnet worm, which most now believe was aimed at Iran's nuclear enrichment facilities. 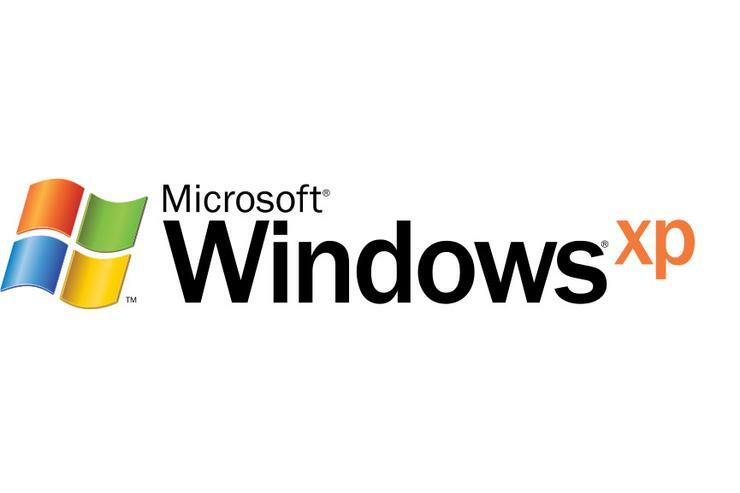 But even though Windows XP Service Pack 2 (SP2) and Windows 2000 had dropped off support the month before, Microsoft did not offer those PCs a patch. The situation will be different in 2014, however: Users of Windows XP won't have a newer service pack to deploy, and XP will probably account for a still-significant portion of all Windows PCs, unlike Windows 2000 in mid-2010. According to data from Web metrics firm Net Applications and Computerworld's projections, XP will power more than 25% of the world's Windows PCs in April 2014. That's an enormous number. And there are other considerations, said Miller. "One of Microsoft's No. 1 customers is the U.S. government," Miller said. "Things are much different nowadays, it's a new age, with all these worms circulating in the Middle East. Cyber security is a national security matter now, and I wouldn't be surprised if the [U.S.] government didn't have an impact on Microsoft's decision as well." Even some of those who bet on the "line in the sand" acknowledged that there were factors that might prompt Microsoft to erase that line. "The only scenario I can see where they would extend support isn't a security scenario," said Pescatore. "The biggest issue facing Microsoft is the declining share of Windows on devices. So they might continue to patch as a business decision, (so) that by offering patches, they at least hold onto those people still running XP." Cherry closed the circle on the debate, pointing to one of the driving philosophies at Microsoft over the last decade as proof. "Microsoft has invested significant resources in its Trustworthy Computing initiative and I think that investment and preserving its now-better-reputation in this area would not allow them to have an XP that was doing harm," Cherry said. "They cannot allow a security vulnerability to cause harm." But it's not, said Miller. "It's really a no-win situation for them," he said. "I wouldn't want to be on the committee at Microsoft that decides this."